Window and door constructions, which are the primary elements for linking the interior with the exterior, are of the utmost importance in constructing passive buildings. The glazed structures manufactured by AILE group, a UPB holding daughter company, conforms to the highest Scandinavian standard for passive buildings; this is also evidenced by the high demand for the glazed structures manufactured by the company in the Norwegian market. 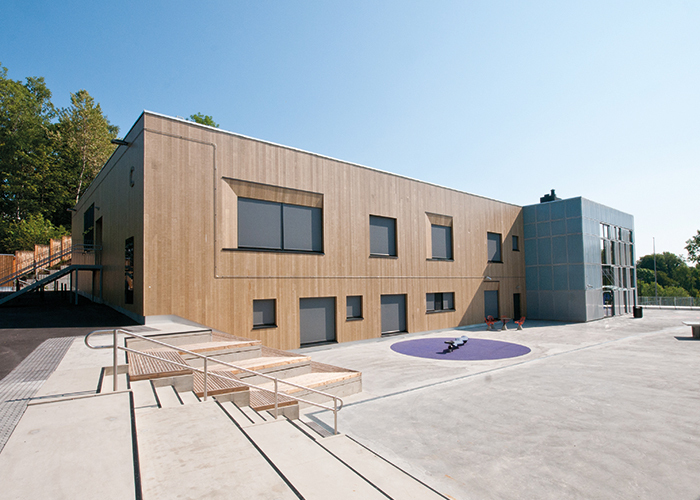 In this August, the first passive school in the Norwegian capital Oslo was put into operation. 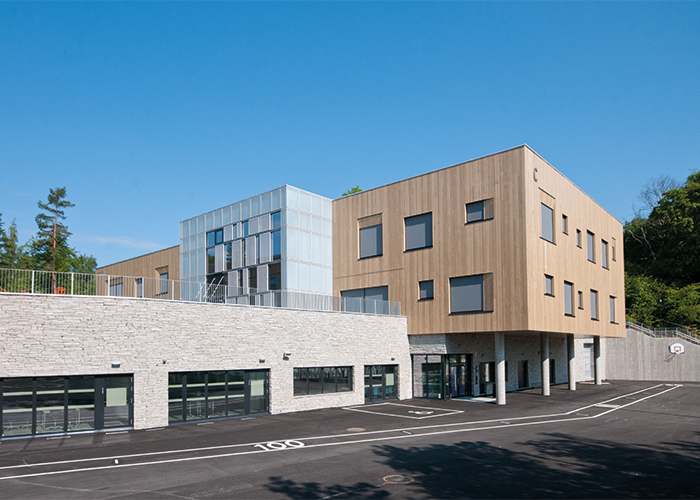 The complete reconstruction of secondary school Bjørnsletta school (area 8900 m2) took place from 2012 until 2014 with the general aim to reduce the CO2 emission by 50%. Taking into account the rich experience of UPB in the Norwegian market both in relation to glazed, metal, and concrete structure construction, the Norwegian company Veidekke entrusted design, manufacture, and assembly of the glazed façade of the building with UPB. The biggest challenge in such structures is the glazed opening parts. AILE group, which is a part of the experienced Latvian manufacturer UPB holding, solved this problem with efficient engineering and technical solutions. As a result, the U-value of thermal transmittance was 0.70.8, which fully complies with the requirements of a passive building. Another equally important result was achieved in the density test (0.16), which is the unofficial leader in the history of density tests in Norway. 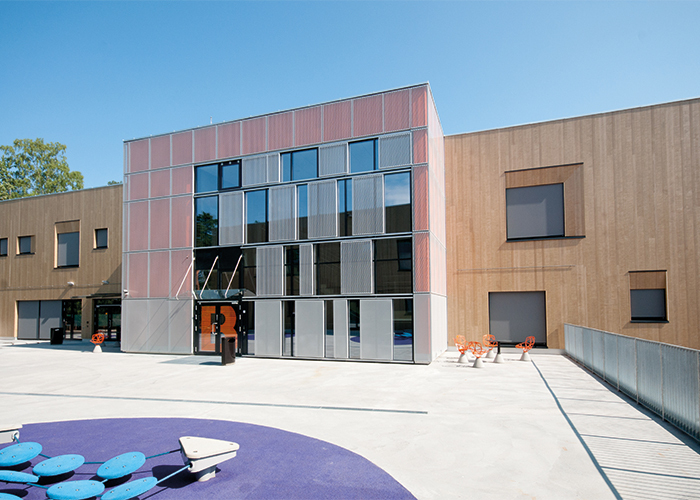 The solution of Bjørnsletta school façade created by AILE group included aluminium and perforated aluminium structures, which offer both decorative and practical advantages — aluminium panels are movable and can be used for additional shading. 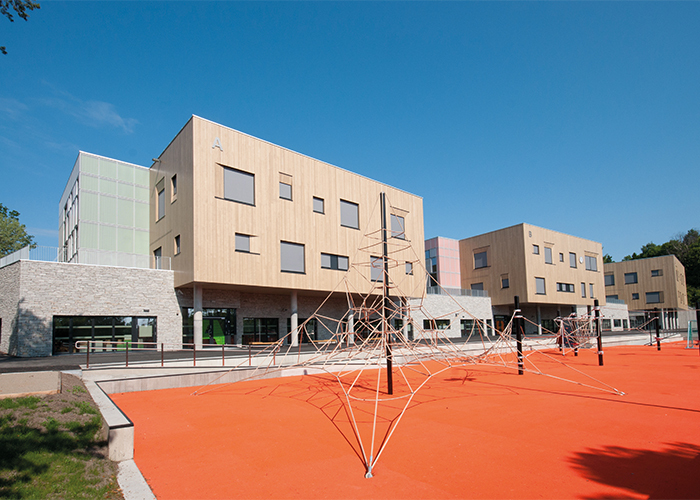 The Bjørnsletta school project was included in the Norwegian FutureBuild Decade Programme aimed at developing carbon-neutral high-quality architecture projects.